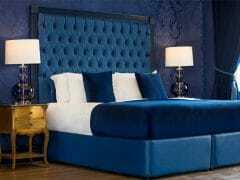 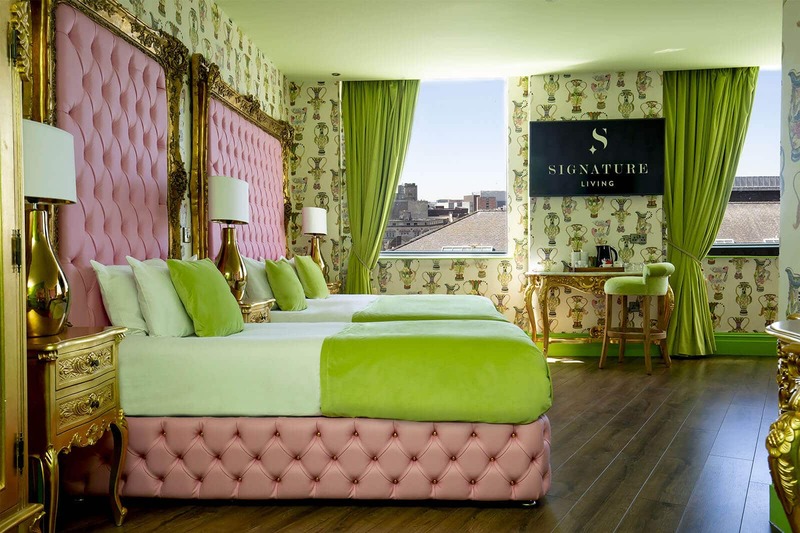 Come and bask in the sweetest of the seven deadly sins; the Sin suite at Signature Living. 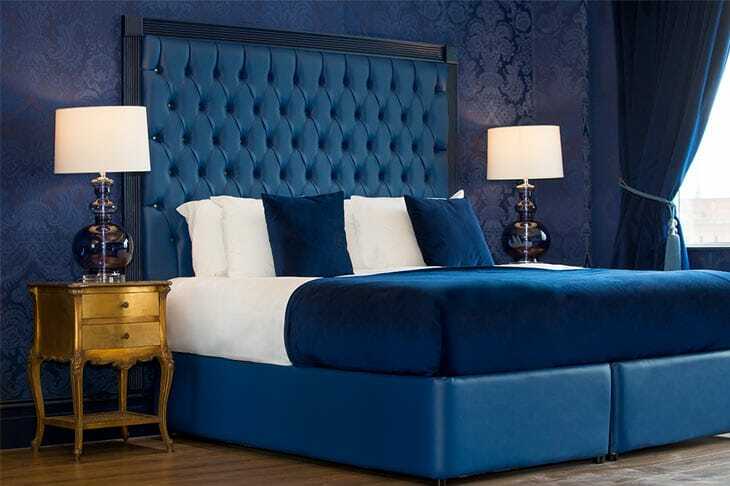 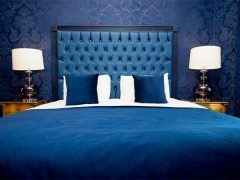 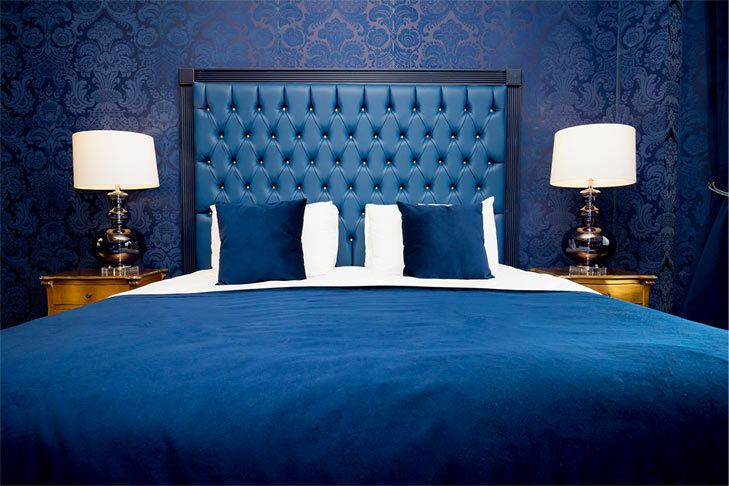 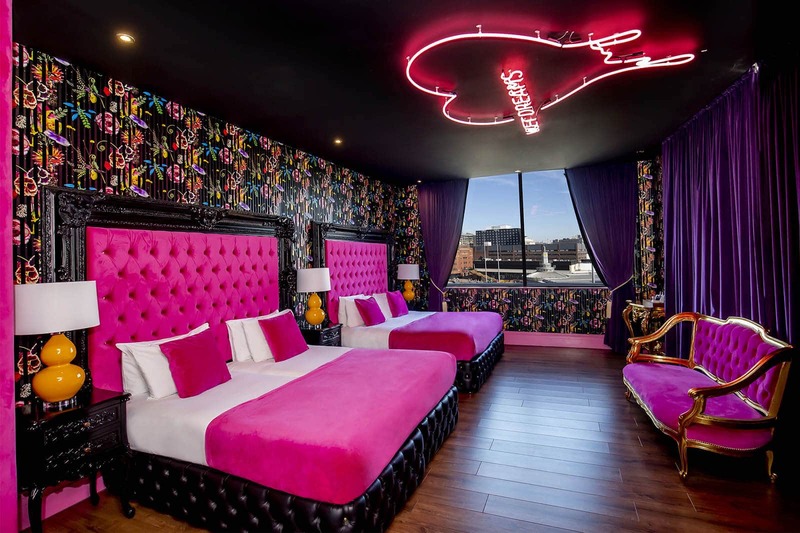 Indulge your wicked side and book a Liverpool overnight stay in our Sin suite, a deliciously dark and decadent hotel suite that gives guests a chance to relax in beautifully sinful surroundings during their city break. 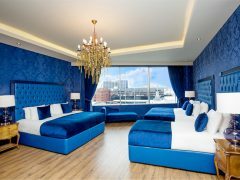 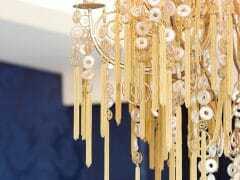 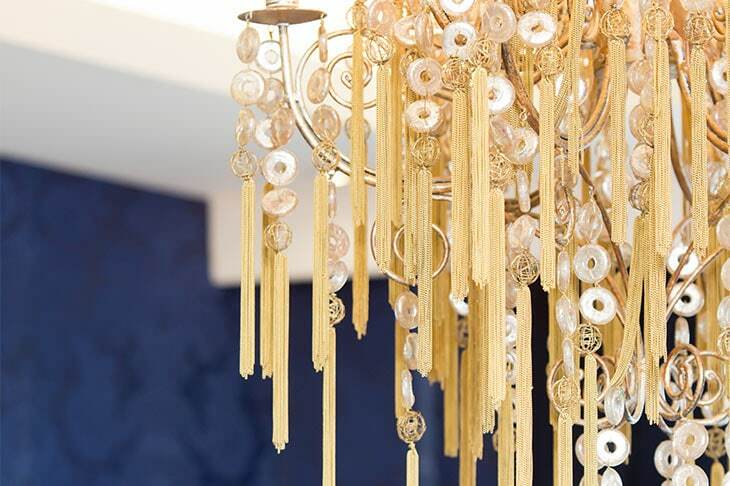 Interiors draped in rich royal blue fabrics, shining golden furnishings and glistening chandeliers further compliment the stunning space. 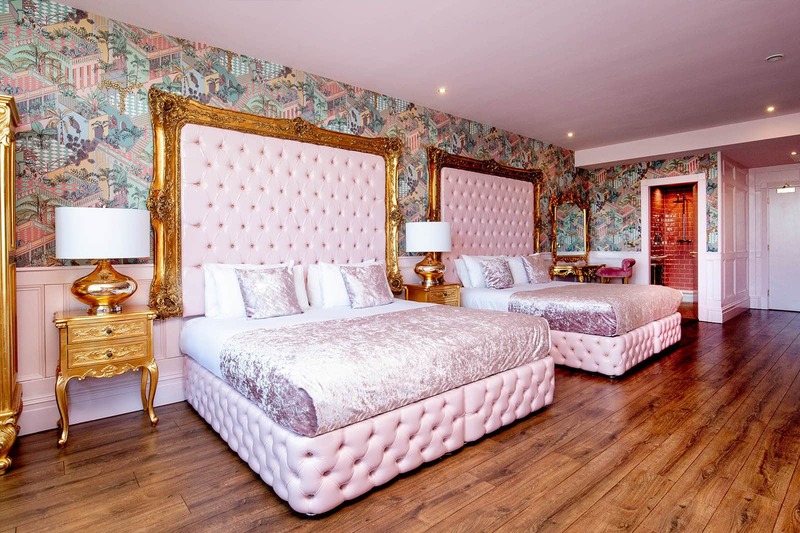 The Sin suite is perfect for accommodating up to five guests in utter luxury with two comfortable double beds and a single sofa bed. 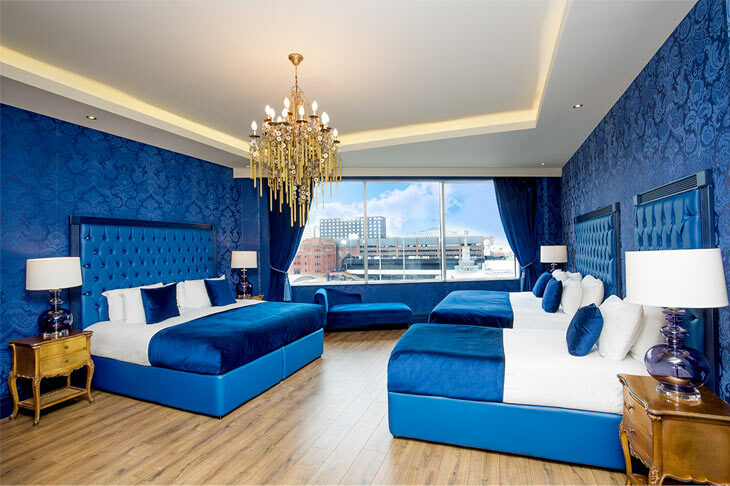 Other outstanding features of the Sin suite include a decadent double whirlpool bath with an elegant ensuite bathroom which provides all the comforts of a home away from home. 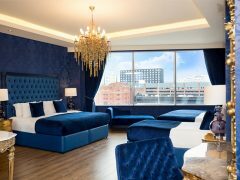 The Sin suite is located inside the award-winning Shankly Hotel, therefore, guests have instant access to the finest onsite facilities. 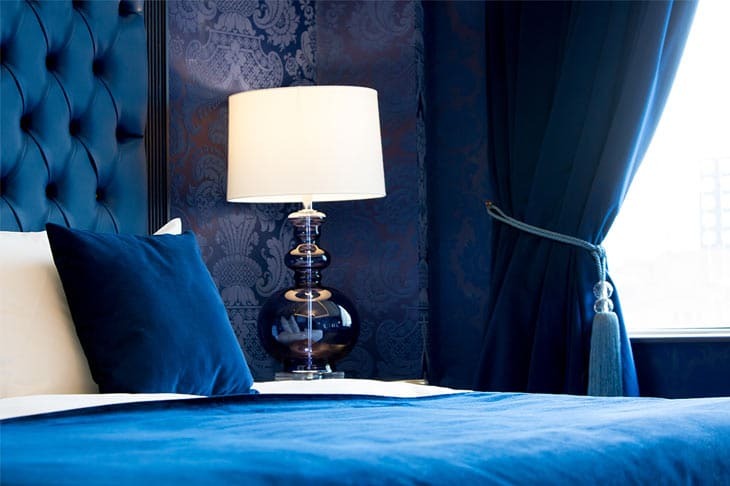 The Bastion Bar & Restaurant for stunning food and drinks, The Shankly Museum with displays of never before seen Shankly memorabilia and secure city centre parking. 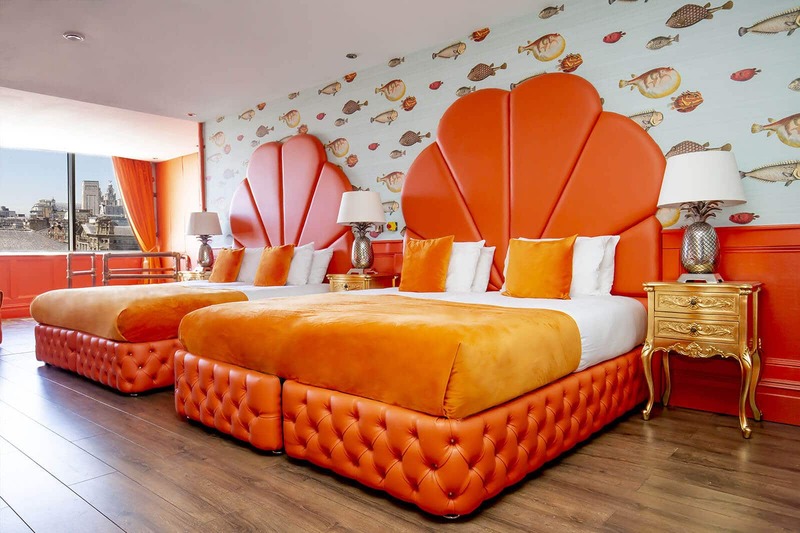 All of Liverpool’s most popular attractions are a stone’s throw away from The Shankly Hotel including the vibrant city nightlife, excellent shopping districts and all of Liverpool’s top cultural and historic landmarks. 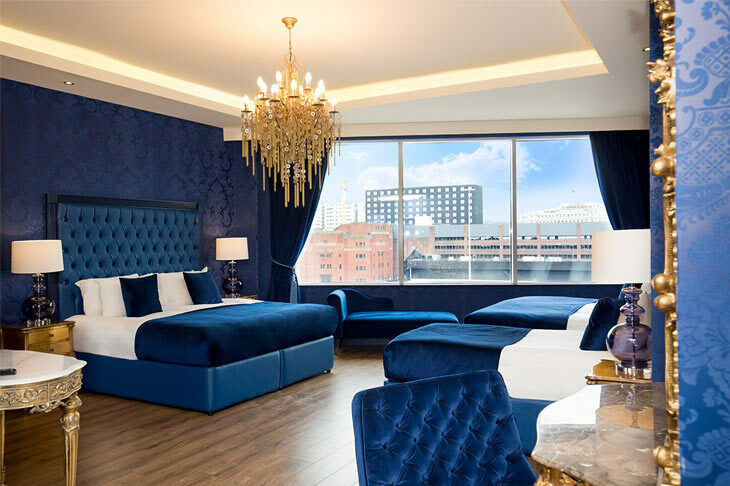 Staying in the Sin suite will ensure that you’re never too far from all of the action meaning you can explore all Liverpool has to offer without spending too much time travelling. 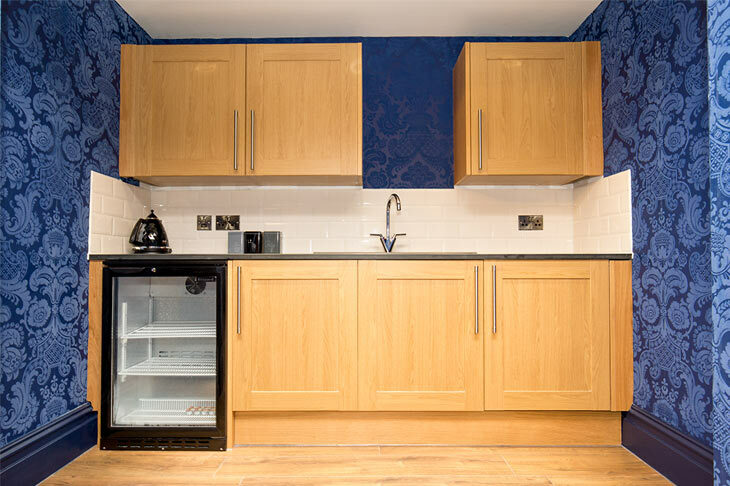 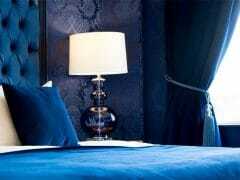 As the Sin suite is located in the heart of the city centre, getting to your perfect apartment couldn’t be easier.